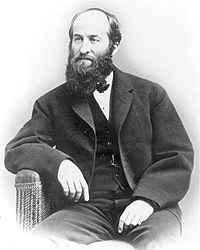 In 1865 Brooks had been offered by President Lincoln a patronage position in San Francisco “unless I chose to remain at the Capital as his Private Secretary, in place of Mr. John G. Nicolay, who proposed to go to Europe.”21 Brooks preferred to take the White House post and conspired with his friend, Dr. Anson G. Henry, and Mrs. Lincoln to make the change. The President’s death intervened and Brooks spent the remainder of his life writing and editing newspapers and books. Michael Burlingame, editor, Lincoln Observed: Civil War Dispatches of Noah Brooks, p. 201 (from Noah Brooks, “Personal Recollections of Abraham Lincoln” first published in The Harper’s Monthly Magazine, May 1865). Carl Sandburg, Abraham Lincoln: The War Years, Volume II, p. 269. Carl Sandburg, Abraham Lincoln: The War Years, Volume IV, p. 115. Michael Burlingame, editor, Lincoln Observed: Civil War Dispatches of Noah Brooks, p. 8. Noah Brooks, Washington, D.C., in Lincoln’s Time, p. 15. Noah Brooks, Washington, D.C., in Lincoln’s Time, p. 10 (Introduction by Herbert Mitgang, editor). Michael Burlingame, editor, Lincoln Observed: Civil War Dispatches of Noah Brooks, p. 10. Noah Brooks, Washington, D.C., in Lincoln’s Time, p. 254. Michael Burlingame, editor, Lincoln Observed: Civil War Dispatches of Noah Brooks, p. 201-202 (from Noah Brooks, “Personal Recollections of Abraham Lincoln” first published in The Harper’s Monthly Magazine, May 1865). Wayne C. Temple, Abraham Lincoln: From Skeptic to Prophet, p. 311. Michael Burlingame, editor, Lincoln Observed: Civil War Dispatches of Noah Brooks, p. 195-196. Wayne C. Temple, Abraham Lincoln: From Skeptic to Prophet, p. 313. Noah Brooks, Washington, D.C., in Lincoln’s Time, p. 214. Noah Brooks, Washington, D.C., in Lincoln’s Time, p. 215. Michael Burlingame, editor, Lincoln Observed: Civil War Dispatches of Noah Brooks, p. 195 (Letter from Noah Brooks to Isaac P. Langworthy, May 10, 1865). Noah Brooks, Washington, D.C., in Lincoln’s Time, p. 11. Noah Brooks, Washington, D.C., in Lincoln’s Time, p. 255. Noah Brooks, Washington, D.C., in Lincoln’s Time, p. 76. Noah Brooks, Washington, D.C., in Lincoln’s Time, p. 123. Noah Brooks, Washington, D.C., in Lincoln’s Time, p. 257. Michael Burlingame, editor, Lincoln Observed: Civil War Dispatches of Noah Brooks, p. 188 (April 16, 1865).